Mormon leader says the president's outline matches the church's values; Utah delegation in Congress rejects plan. Dieter F. Uchtdorf Courtesy LDS.org Jeremy Harmon | The Salt Lake Tribune President Thomas S. Monson is flanked by his counselors, Henry B. Eyring and Dieter F. Uchtdorf, arrives at conference during a congregational hymn during the 181st Semiannual General Conference of The Church of Jesus Christ of Latter-day Saints in Salt Lake City on Saturday, Oct. 1, 2011. Monson announced a number of new temples including the repurposing of the Provo Tabernacle as a temple. Washington • President Barack Obama&apos;s outline for immigration reform matches the values of the Mormon faith, according to Dieter F. Uchtdorf, second counselor in the LDS Church&apos;s governing First Presidency. Uchtdorf joined 13 other faith leaders in a meeting with Obama on Friday, where the president asked them to support a reform effort that would streamline the legal immigration system and create a pathway to citizenship for the 11 million undocumented immigrants in the country. "He just said in this value process we need to stand together and make sure the United States is still a place where people can come and, once they come, feel not at fear. And do it, of course, in a lawful way," Uchtdorf told The Salt Lake Tribune in a brief interview as he left the White House. "He was talking about his principles and what he said was totally in line with our values." Uchtdorf&apos;s comments and his involvement in the meeting are the strongest indications yet that The Church of Jesus Christ of Latter-day Saints is sympathetic to a reform effort that many Mormon politicians, including all of Utah&apos;s members of Congress, have so far rejected. Utah&apos;s two Senate and four House members have rejected efforts that they believe offer illegal immigrants amnesty. White House deputy spokesman Josh Earnest said the principles the president laid out for faith leaders were "his strong commitment to a pathway to earned citizenship for undocumented immigrants as well as his administration&apos;s emphasis on cracking down on employers who exploit vulnerable immigrant workers and undermine American workers and continuing to strengthen border security." "The president thanked the leaders for their work on the issues and looks forward to working with them to move the immigration debate forward in the Congress," he said in a briefing with reporters. Compassion • Uchtdorf expressed his view that the government should respond with compassion to undocumented immigrants who have a long history in this country. "My personal feeling there is the United States over the last couple of decades, even de facto, encouraged others to come, you know, to work in the fields in California, or Arizona or Texas, some of those have been here for 30 years," he said. "They are bishops in our church, but they never became legal residents because the system was not right for it and all of a sudden we are having changes even though they were more or less invited here to come because their work was needed." Still, Uchtdorf said he believes a different standard may apply for more recent immigrants who did not arrive through legal channels. "If someone is coming now to the U.S. or in the last couple of years they know they should come the legal way," he said. Uchtdorf called the presidential invitation "a great gesture" and one he accepted only after talking with LDS Church President Thomas S. Monson and the other members of the faith&apos;s Quorum of the Twelve. In the meeting, Uchtdorf, a naturalized U.S. citizen, told the president of his own immigrant past. He was twice a refugee of war before he left Germany to immigrate to the United States. He did so legally but found the process to be cumbersome. "We should make sure that those who decide to come and go through the legal process, they should be offered a way that is full of dignity and leads them eventually to a place where they feel at home," he said. In 2010, the LDS Church supported the Utah Compact, several principles calling for a federal solution to the immigration issue and compassion for the country&apos;s undocumented immigrants. At the time the faith issued a statement saying: "Public officials should create and administer laws that reflect the best of our aspirations as a just and caring society. Such laws will properly balance love for neighbors, family cohesion, and the observance of just and enforceable laws." Uchtdorf said the Utah Compact "is a pillar" of the federal immigration debate and he said he hoped that state leaders refrain from "watering our own courageous reform down." Shurtleff • Former Attorney General Mark Shurtleff was instrumental in forming the Utah Compact and has developed close ties with the Obama White House through his spot on the board of the National Immigration Forum. 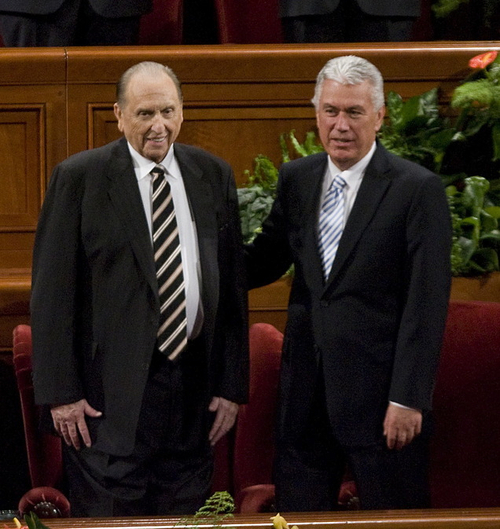 He called Uchtdorf&apos;s involvement "really significant" because politicians listen to their faith leaders. "If religious leaders and organizations are talking about keeping families together," he said. "We hope it will resonate with them." Rep. Jason Chaffetz, R-Utah, opposes Obama&apos;s immigration plan but he said that doesn&apos;t put him out of line with the LDS Church. He argues that Congress should pass smaller, less controversial measures on border security and the visa program now instead of trying for one major bill. "The only way we get to where the church wants to be is when we get Democrats and Republicans agreeing," said Chaffetz, a member of the House Judiciary Committee. "And when we do have common ground we should vote and pass that and move to the next step." Like Utah&apos;s other members of Congress, Chaffetz has resisted any pathway to citizenship that doesn&apos;t require immigrants to leave the country first, a requirement that Obama considers unreasonable. Chaffetz has discussed immigration reform with LDS officials, including L. Tom Perry and Quentin L. Cook of the Quorum of the Twelve, the body just below the First Presidency. He said they both urged federal action on the topic but did not get into what specific policies they would like to see. 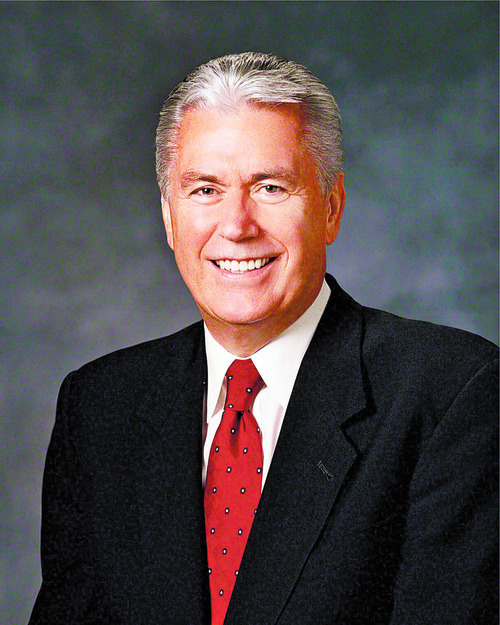 Uchtdorf also put distance between religious values and the more practical nature of politics in his comments to The Tribune. "Politics is different than what we as a church have, values," he said. "They have to find a compromise. They have to have a give and take." Rev. Luis Gomez, the president of Esperanza, a Latino faith-based group, also attended the meeting and he said the participation of faith leaders from more conservative faiths such as the LDS Church and the Southern Baptist Convention shows that the issue isn&apos;t partisan. "It&apos;s a human issue and it&apos;s a religious issue," he said. "All of us have an understanding of the stranger and who our neighbor is. We need this addressed." Barrett Duke with the Southern Baptist Convention, like Uchtdorf, said Obama&apos;s goals match that of his faith. "I feel like the principles they laid out are very much in line with the principles the Southern Baptists have already adopted," he said. "I feel like we can easily see immigration reform accomplished by this summer." That&apos;s the time frame Obama has pushed. A bipartisan group of senators, which includes Florida Republican Marco Rubio, has released its own guiding principles that are close to what Obama is pushing. A group of House members is working on a similar plan, though to date no legislation has been made public. José Gómez, the Catholic Archbishop of Los Angeles, said the president asked the faith leaders "to pray for the comprehensive immigration reform and to work together for the good of immigrants in our country." And when asked if the faith leaders are on the same page as the president, he said: "I think we are."